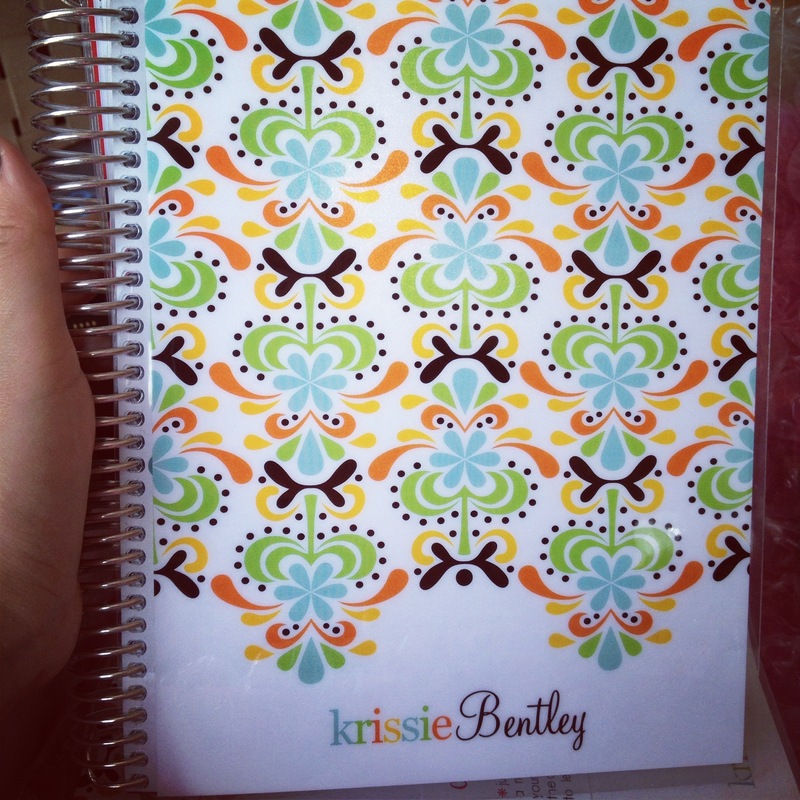 Yesterday I introduced you to my little buddy - my Erin Condren planner.. Today I'll show you how I use her. 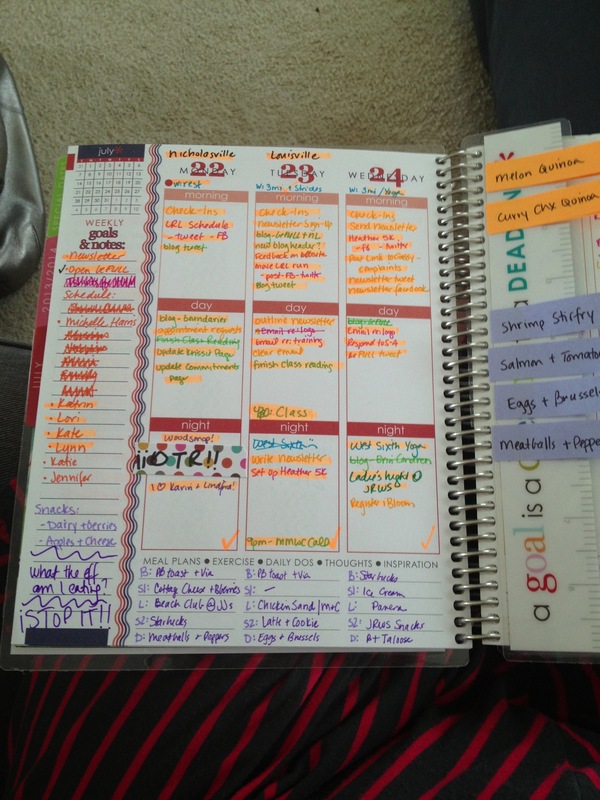 The first thing I did was move my comfortable front spread from my previous planner. 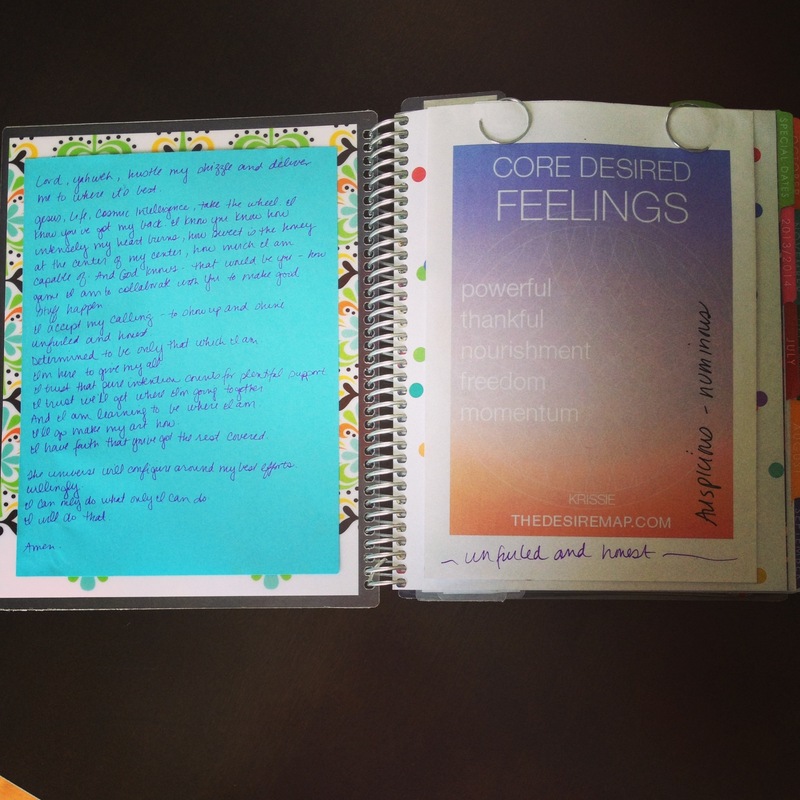 Inside cover is my version of a prayer I pulled from the Desire Map. It is where I start every day. Next is my list of Core Desired Feelings, which I think will get an overhaul in the next few days. I love this spread. So much. And I'll have it covered with all of my own more permanent flair before long. Now lets look at a monthly spread. I have everything I need at a glance here. My running plan is on the little dots. I've got races and run locations and classes and pay dates. Love. First things first: I have a pen legend. This will be second nature before long, but I'm still learning. This is the first part of my week - nice and complete! Starting from the top of each day: Where I went for work/ mileage tracker in black. Planned workout in blue. 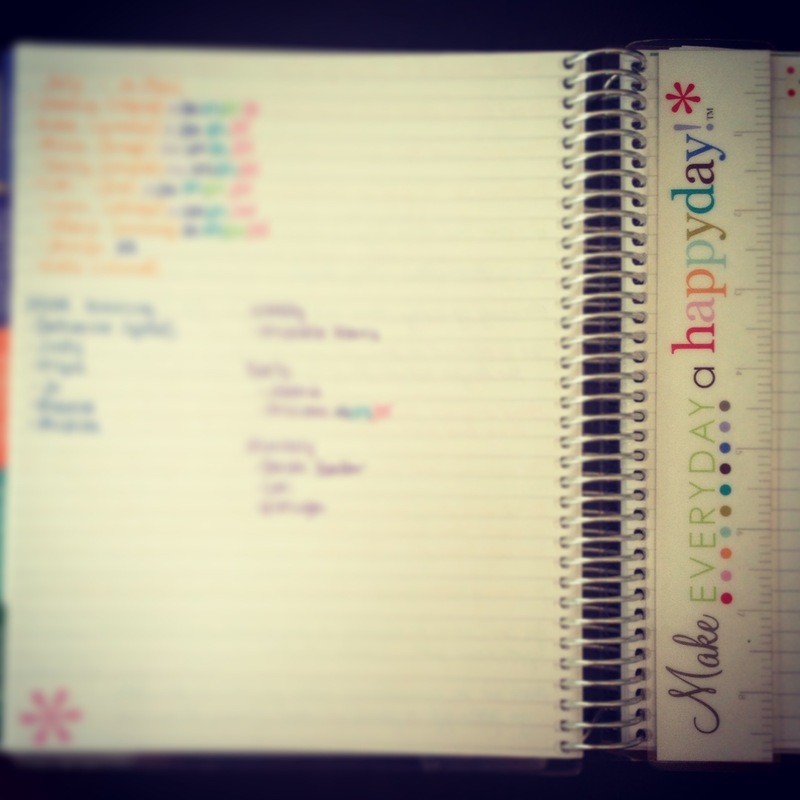 To-do through the day. 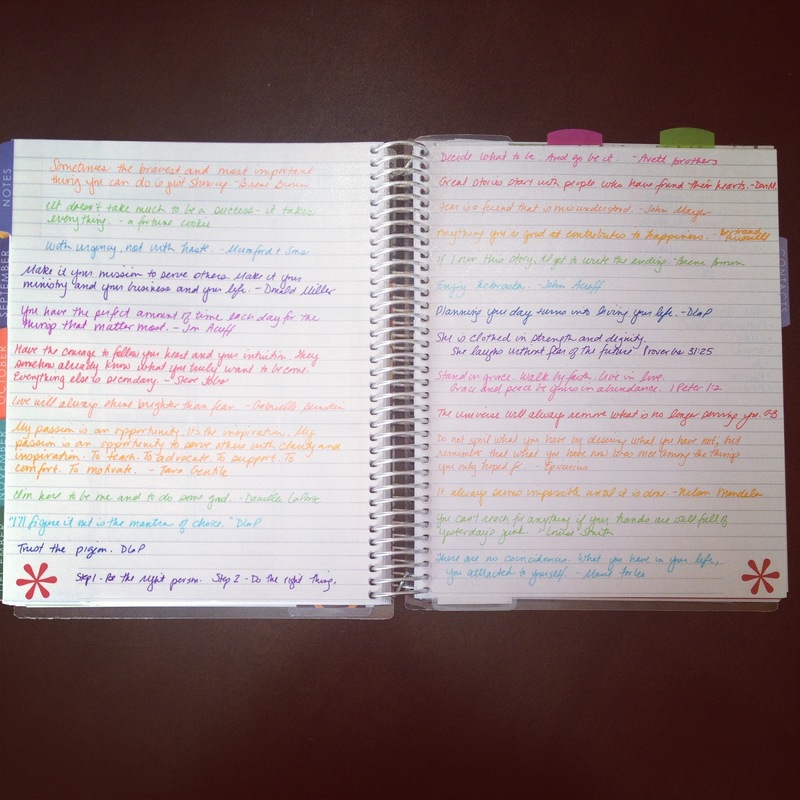 And I use the bottom for a food journal. In the middle is the handy-dandy bookmark. 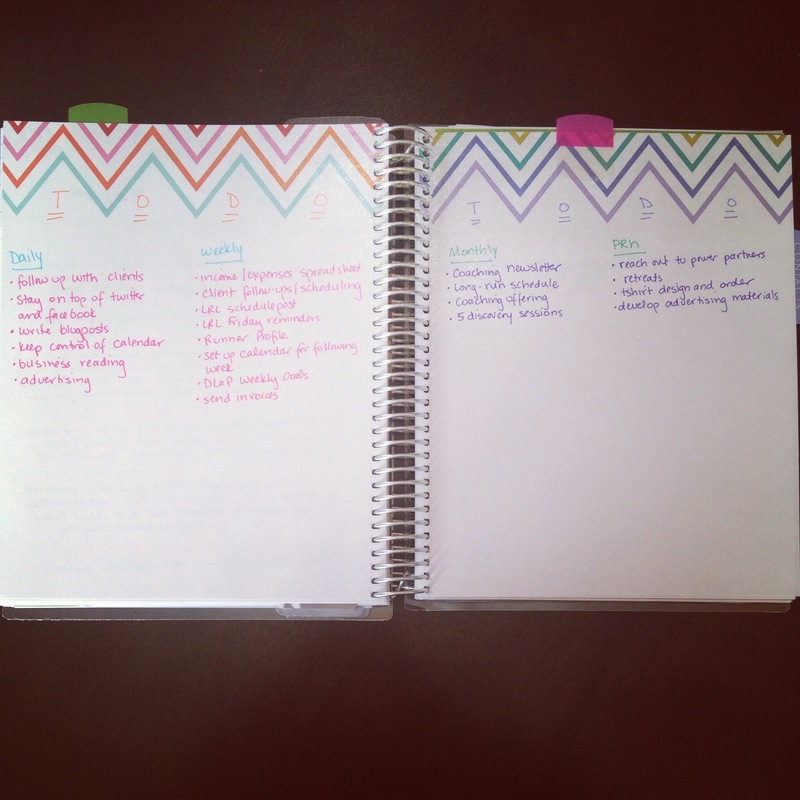 I use it as a menu planner. 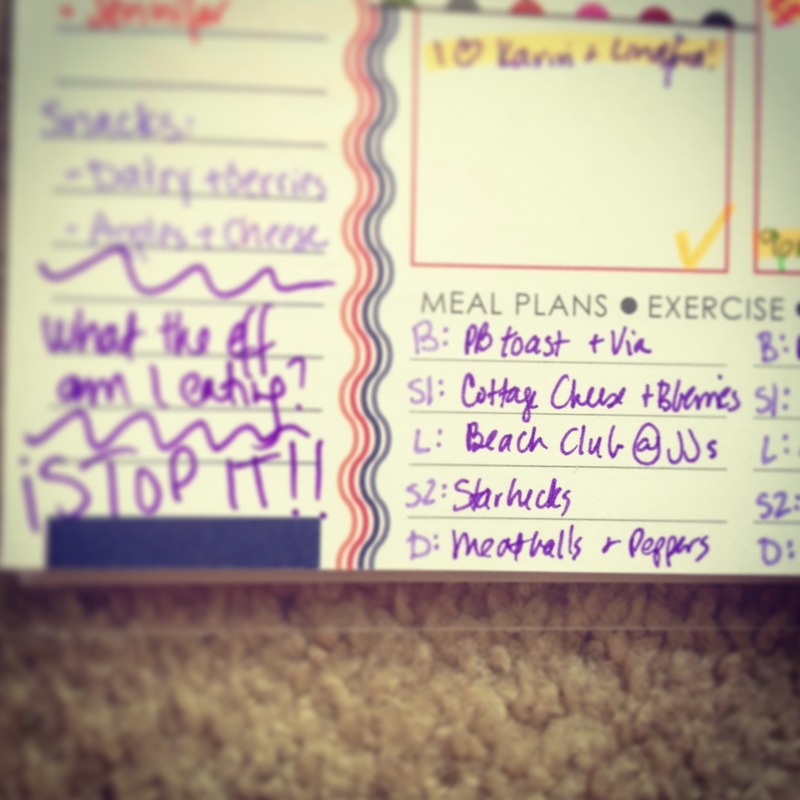 I have post-it's of the meals I have in my fridge. This week was orange for lunch and purple for dinners. As we cook the meal, I pull them off and throw them away. 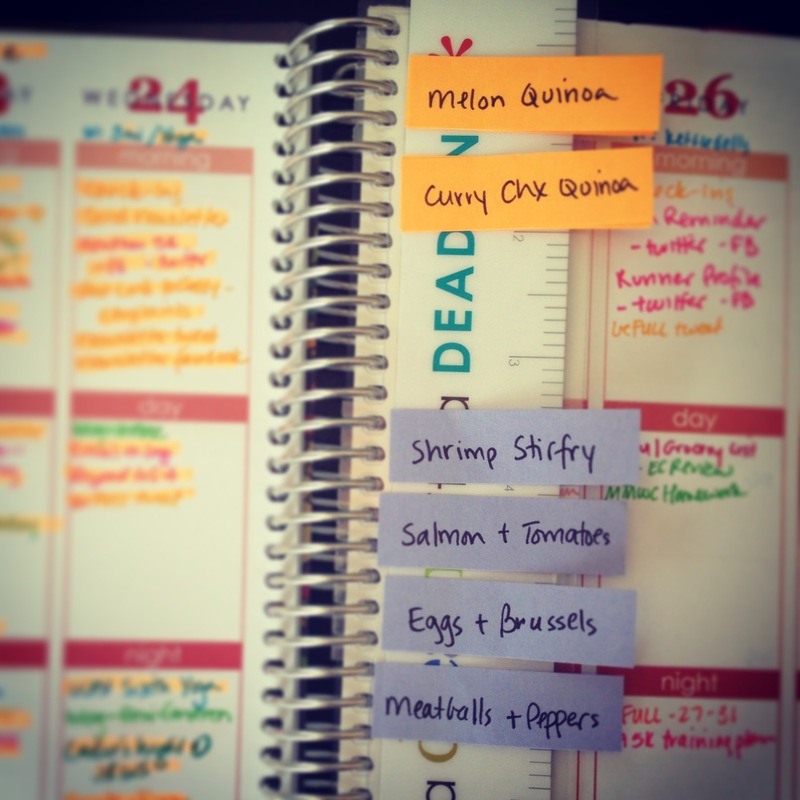 It helps me prioritize what meals need to be cooked first if things might spoil. And here is the rest of my week. And, sheesh, I have a lot to do this evening (it is still Thursday in my world). 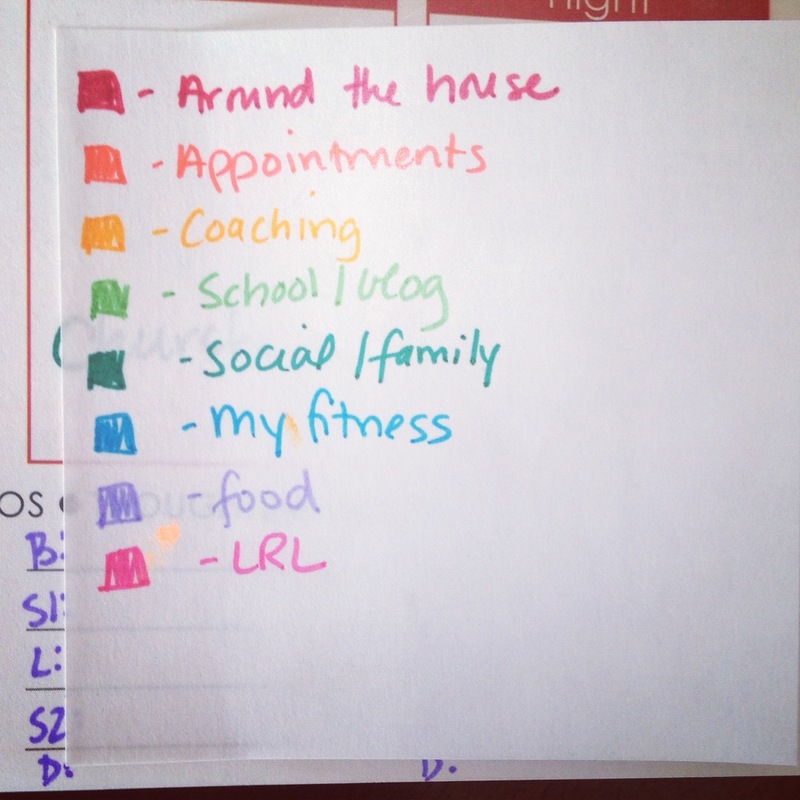 I am tagging appointments with these nifty arrows. They are Martha Stewart from Staples. I enjoy them. 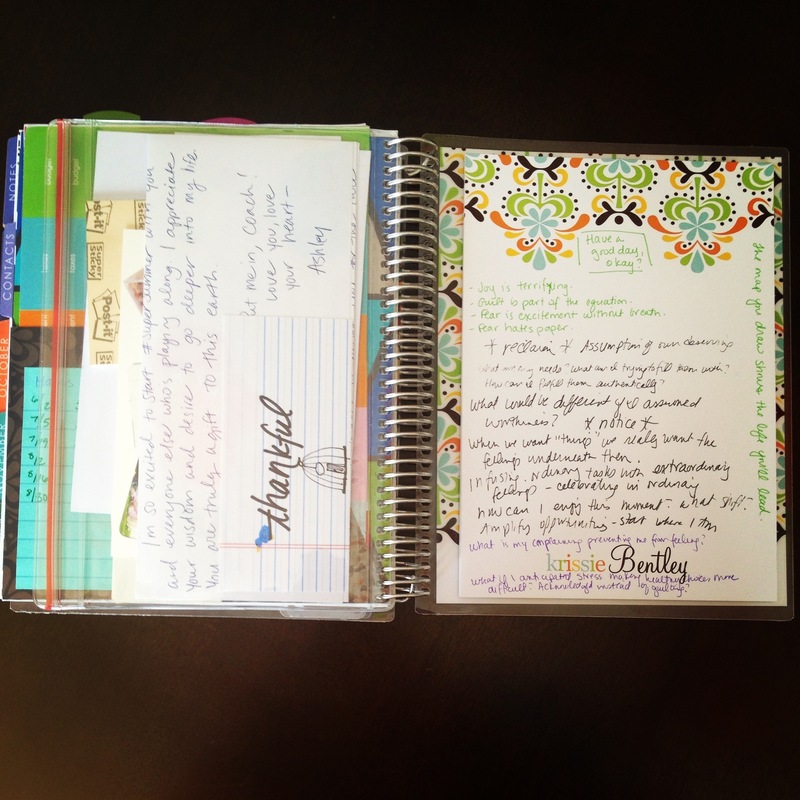 I use my bookmark from last year's planner in the back inside of the blank pages. 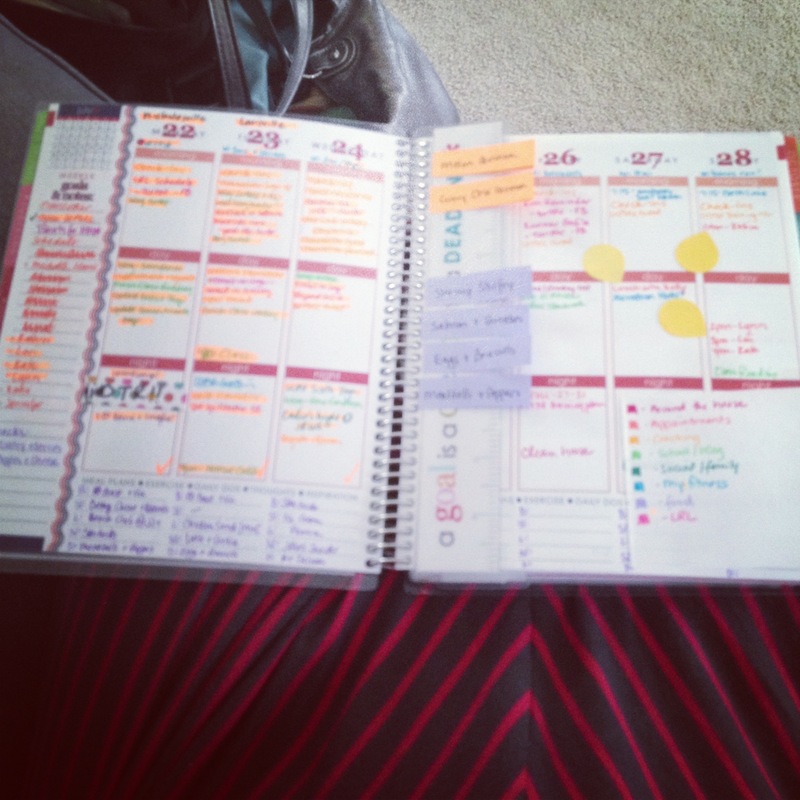 This is where I keep track of my client check-ins and stay on top of invoicing. I have plenty of pages for the year. And, finally, the back cover. I keep all kinda of goodies in the sleeves and pouch. Business cards, bills to pay, encouraging notes, tattoo designs, etc. I am using the notepad on the back as my notes-to-go area. This chicken-scratch was from a podcast I listened to on the road a few days ago. 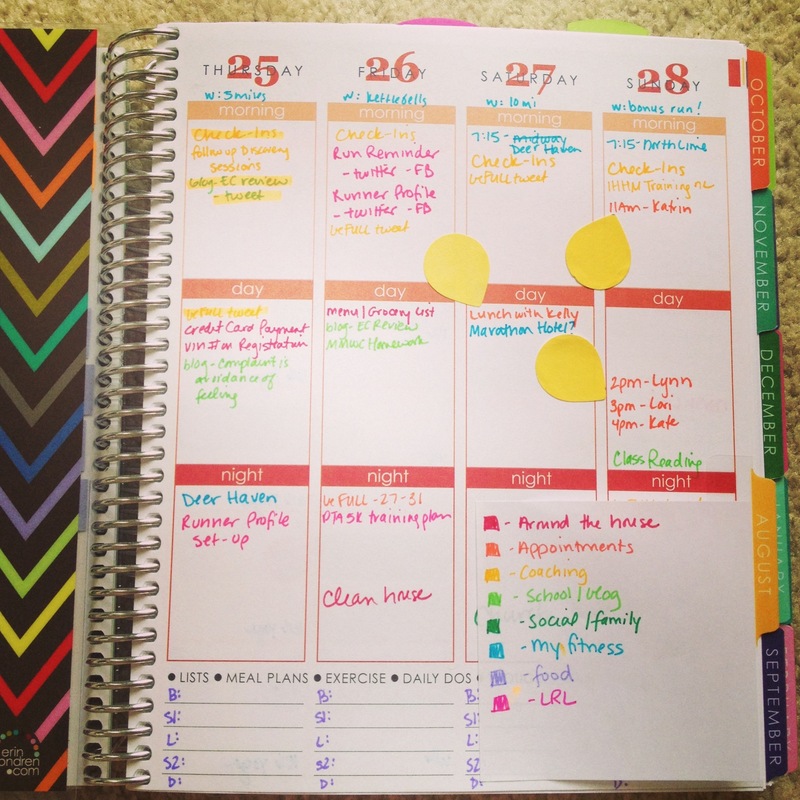 No more huge post-its all through the planner! 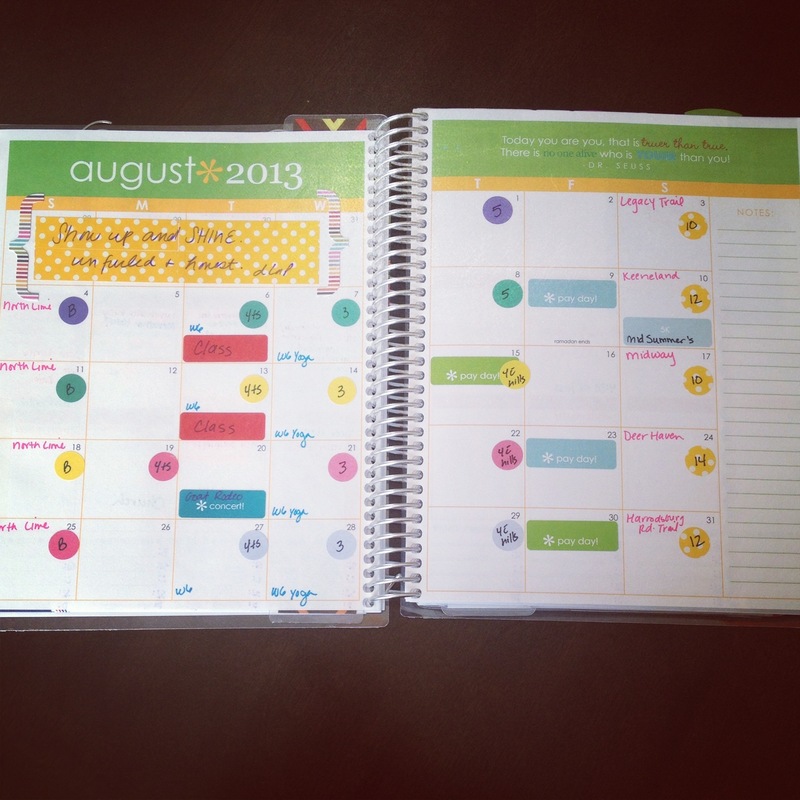 So there's how I use my Erin Condren planner. I feel like I had last year's to develop a system I liked, and now I just make it work. She's a beaut. Isn't she? Interested in one of your own? Did I push you over the edge? I'd love it if you used my referral code to create an account! You AND I will each get a $10 off code! I'm super excited about my latest coaching offering. 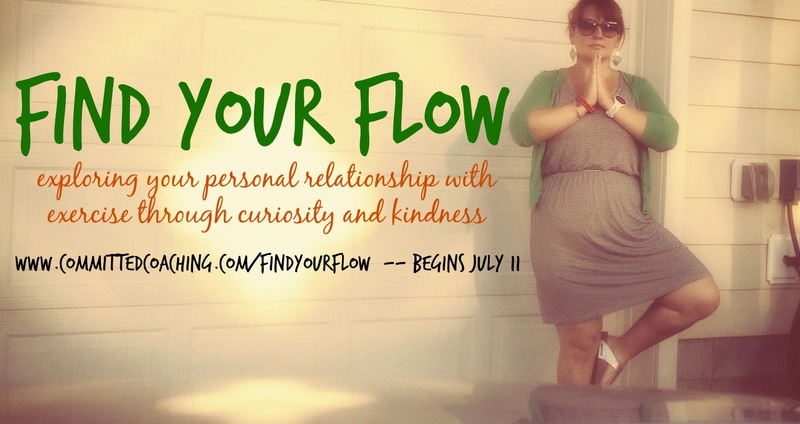 Starting July 11, we'll be exploring exercise, self-worth, and identifying how to be more self-affirming in whatever movement you decide to play with. I'm hoping you will allow me the opportunity to change how you think about exercise. Or, as we'll call it in this offering, movement. We will spend 4 weeks, beginning Friday, July 11th, learning to approach movement with an attitude of play and curiosity. We will use observation to figure out what types of movement feel most affirming and fulfilling. We will create a toolbox of movement options that are flexible and exciting with less pressure and emotional charge. But, Krissie, I don't have time! Do you watch 15 minutes of tv three times a week? Then you have time. I'm serious. How will we do this? 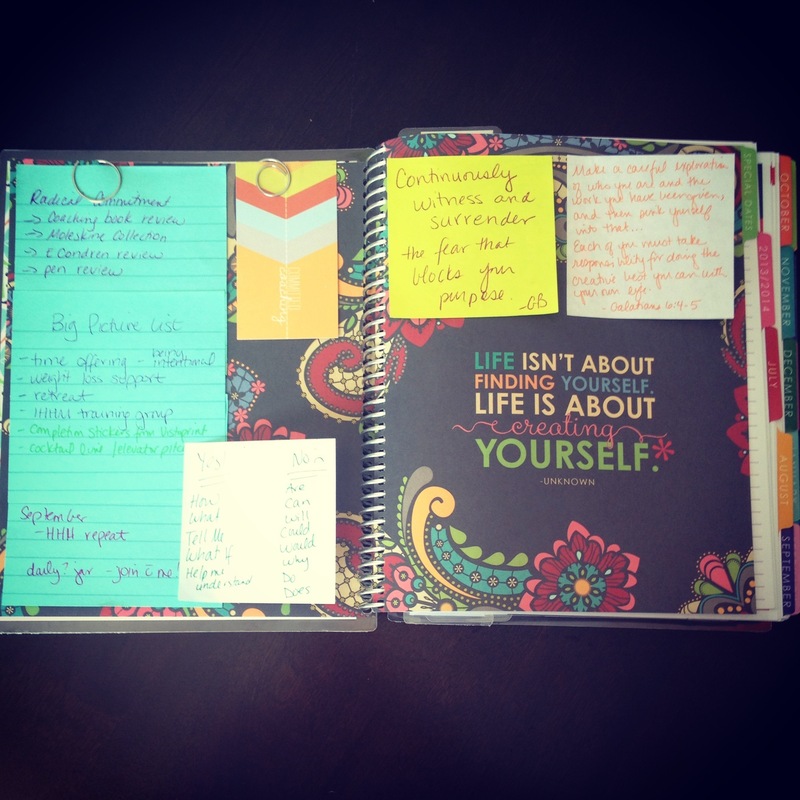 Video lessons, journal prompts, Pinterest boards, facebook chats. 4 weeks.